Pop, pop, pop! Popping games are a favorite of every little one, so why not turn it into learning time? 'Kids Popping Balloons' is filled with educational popping activities which teach ABCs, Numbers, Shapes and Animals. If your baby prefers to just pop balloons, this app has it too! Early learning for kids just got more exciting! This app includes popping games which are perfect for infants, toddlers and preschoolers. These fun educational activities will hone your child's fine-motor skills, hand-eye co-ordination and sharpen their memory. 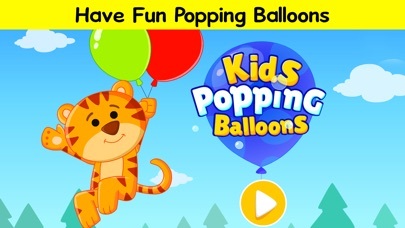 Features of the 'Kids Popping Balloons': * Ideal for children under the age of 5 * Includes 5 Sections - Pop the ABC's, Pop the Numbers, Burst the Shapes, Pop the Animals and Balloon Popping * Voice-over for letters of the alphabet, numbers, shapes, animals to help your child understand better * Cute animated characters to delight your kids * Easy-to-navigate and completely kid-safe + Pop the ABC's: Want to learn ABC's the fun way? 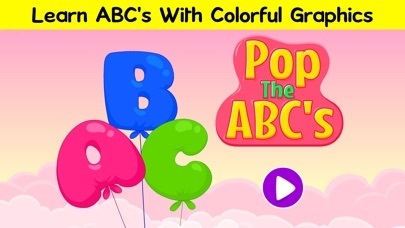 Pop the balloons shaped as the letters of the alphabet, right from A to Z! Uppercase and lowercase letters are included. 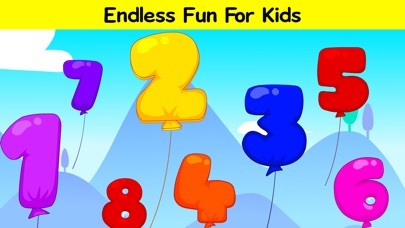 + Pop the Numbers: Learn numbers from 1 to 10 with balloons. Your child's journey of math learning begins here. Learning numbers is as easy as 123! 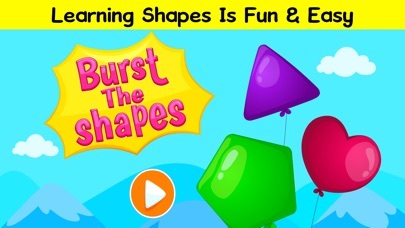 + Burst the Shapes: Every child loves balloons of various shapes. In this app, your little one can learn the names of the shapes as well! + Pop the Animals: Pop the balloons shaped like animals and you'll hear what they sound like! 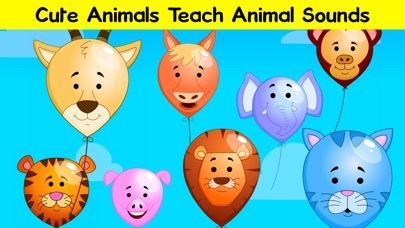 This is a great way to learn animal sounds. The first section of Kids Balloon Popping is free. The remaining sections are available via in-app purchase for $1.99! Happy learning!